We are now entering the third week of the holy month of Ramadan and even though it’s supposed to be a time of spiritual renewal, the number of traffic accidents in Muslim countries rises during Ramadan — particularly in the hours preceding Iftar, the meal when the fast is broken as sunset. Experts blame the physical effects of fasting for the increase in collisions; fatigue from fasting can result in reduced concentration, irritability, and slower reaction times. Studies show that dehydration from a lack of fluids “disturbs the cells of the brain, leading to stress and edgy behavior before Iftar.” According to the Saudi Red Crescent Authority, there were 282 collisions in Jeddah over the first two weeks of the month, with at least 70 people in need of emergency treatment. In the UAE, 16 people have been killed in road crashes during Ramadan so far. To prevent reckless driving while driving home to break the 15-hour fast, the Dubai Police Traffic Department in collaboration with the General Department of Community Happiness hands out Iftar meals to drivers to discourage them from rushing to their destinations while also possibly suffering from the effects of fasting that may impair driving. On Tuesday, the Interior Ministry of Saudi Arabia approved a new law criminalizing sexual harassment, which is considered a crime according to Islamic law. This groundbreaking legislation will protect both genders and is aimed at combating sexual harassment in the kingdom, ensuring that all individuals can live a normal life free of fear. The anti-harassment law covers verbal, physical and digital provocation, and requires public and private institutions to make all necessary arrangements to prevent it. Failing to comply with the new law can result in a maximum sentence of up to five years in prison and/or a $80,000 fine. Saudi Arabia has recently witnessed a wide-ranging series of reforms; however, human rights activist have urged caution following the detention of several prominent women’s rights activists during the last several weeks. Also on Tuesday, one of the few UAE human rights activists, Ahmed Mansoor, was sentenced to 10-years in prison and fined $272,000 for criticizing the government on his social media accounts. Mansoor was sentenced for insulting the “status and prestige of the UAE and its symbols” and conspiring with a “terrorist organization.” While Human Rights Watch condemned the sentence, highlighting the “brutality and repression beneath the Emirates’ gilded facade,” ironically, life in the UAE is apparently among the best in the world, according to the latest UAE Human Development Report, published by the Centre for Public Policy and Leadership at the United Arab Emirates University in collaboration with United Nations Development Program. The report ranks the UAE as the 42nd most advanced country in the world with high ratings in health, education and income indicators. The report highlights the progress in narrowing economic and educational gender gaps and promotes the country’s efforts in creating sustainable human life. However, there is still much room for improvement: the UN High Commissioner for Human Rights published contradictory information earlier this year, shedding light on the suppression of freedom of expression, the torture of prisoners, injustice against foreign workers and discrimination of women. 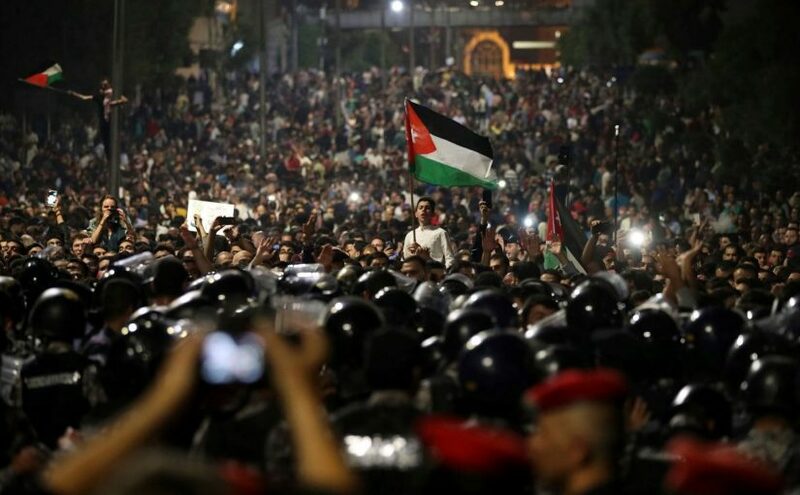 On Wednesday, thousands of Jordanians across the country took part in what has become a multi-day protest against the government’s proposed increased income tax law and a rise in energy prices. The controversial bill, introduced by former a now former prime minister came in addition to the implementation of a new budget in January that included the imposition of a sales tax on 165 items, including basic products, the increase in the price of fuel, electricity and water, a 20 percent spike in the tax on tobacco and the 9 percent increase in the price of public transportation, all of which were meant to meet the demands of the International Monetary Fund which had given Jordan a loan, and to reduce the extent of public debt, which now stands at more than $40 billion. The government claims that the increase in tax revenues from the proposed income tax law is needed to improve public services but according to economists it will only hurt the most vulnerable and will not address pervasive government corruption. Because of the earlier 50-100% tax increase on key food staples earlier this year, high inflation has increased Jordan’s poverty rate. Citizens are demanding a revisit of the economic approach to guarantee better and stable living conditions. 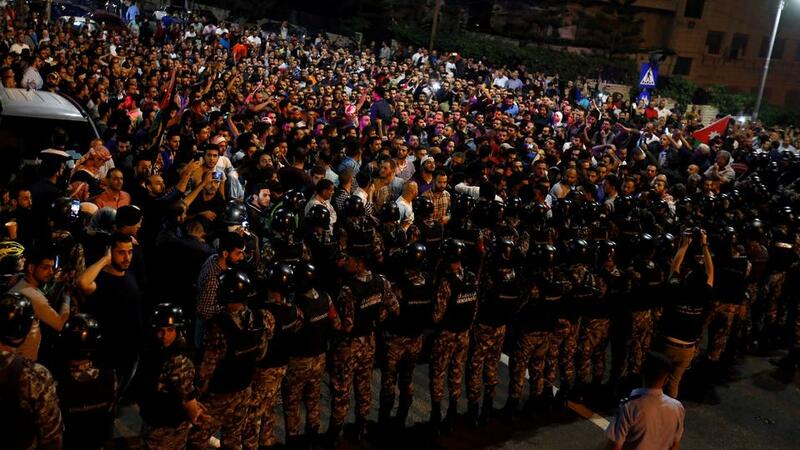 On Sunday the police jostled with protesters attempting to enter the office of Prime Minister Hani al-Mulki, the author of the tax bill, calling for his resignation. After a meeting with the Jordanian King Abdullah the following day, the prime minister resigned. 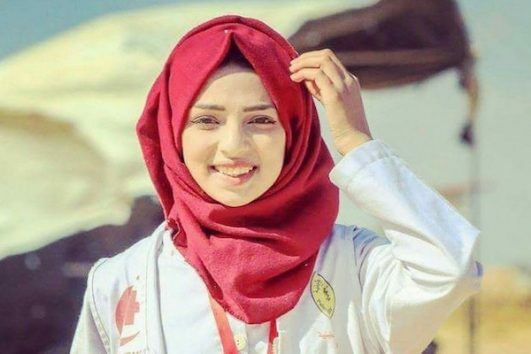 On Friday, Razzan al-Najjar, a 21-year-old Palestinian nurse, was shot dead by Israeli Defense Forces (IDF) near the Gaza border. As an emergency medic during the “Great March of Return” protests in Gaza, Razzan was a first responder to Palestinian causalities. Yet, when Israeli soldiers shot Razan Al-Najjar, the main news outlets were silent. The New York Times simply stated that “a 21-year-old Palestinian health worker was killed on Friday,” while The Washington Post failed to report Razzan’s death until Saturday, June 2nd. The IDF announced on Tuesday, June 5th that “no direct shooting was directed at her,” contradicting eye witnesses who state that Razzan was shot in the stomach while aiding wounded demonstrators near the Gaza-Israel border fence. Last month, the New York Times interviewed Najjar in Gaza; she was one of the only female medics responding to medical emergencies during the protests. In the interview, she said that Gaza needed more female medics like herself. “The strength that I showed as a first responder on the first day of protests, I dare you to find it anyone else,” she said.